A truly beautiful print. 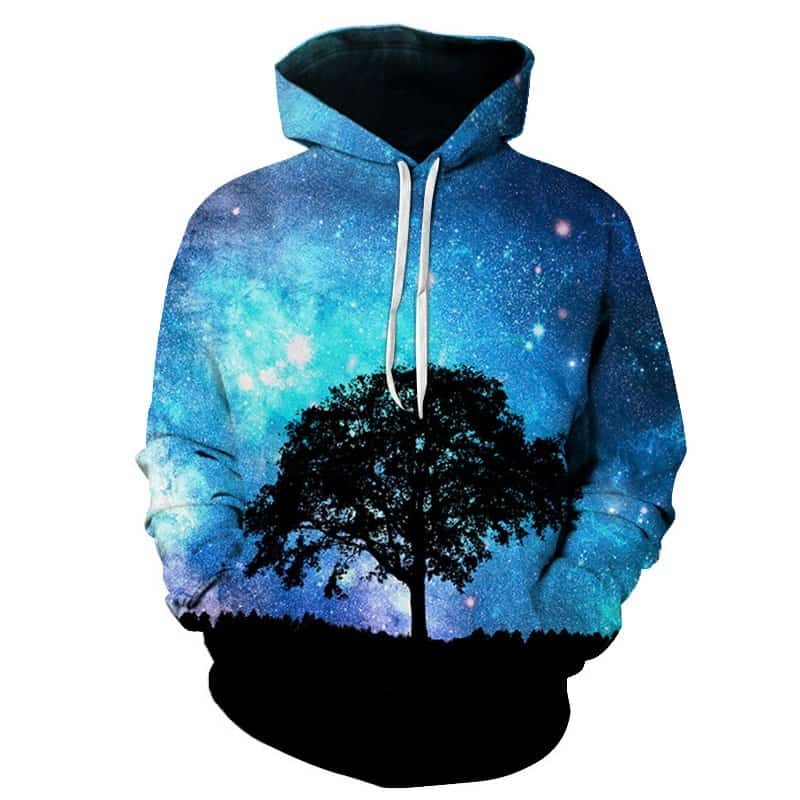 This Galaxy Tree Hoodie features a lone tree in the center of the universe. 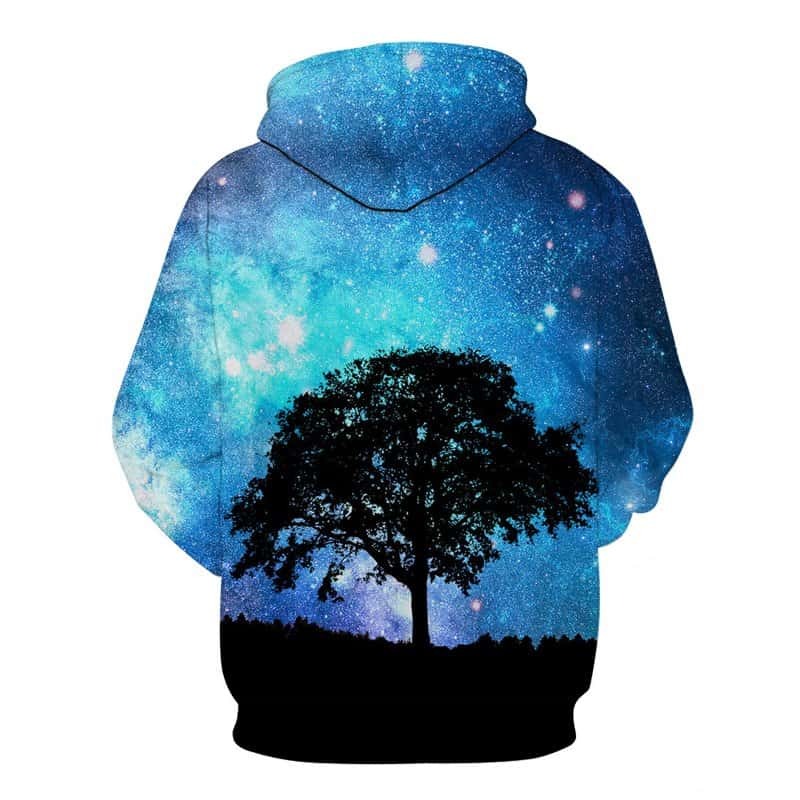 With a majestical blue starry skyline, hoodies like this capture our imagination. The hoodie is comfortable to wear, looks fashionable and is wearable anywhere. It was designed for both male and female.